In March 2016 we were asked by Cushman Wakefield to be part of the team on the relocation from Soho Square and Regent Street to Aldwych House for the US media and marketing company Wasserman. Working directly with TeamWass and alongside CW, the appointed contractors Dentons and the Los Angeles based architect and designers ZGF we recommended, sourced and procured products that best seem to fit the design brief and budget. We organised showroom visits, furniture trials and cost comparisons. Products selected were from Forma 5 for the open plan and offices, storage from Max, Herman Miller for seating, B&B Italia for the boardroom and meeting tables, Moroso and Quinze and Milan for reception and break out seating. Installation was successfully completed in July. Credit to the designers, the job looks fantastic. In mid 2015 we were asked by DTZ to be part of the team on the relocation from City Point to Citi Tower, Canary Wharf for the Japanese shipping giant NYK. Working directly with the client and alongside CW’s design team and the appointed contractors Morgan Lovell, we recommended product that best seem to fit the design brief and budget. We organised showroom visits, furniture trials and cost comparisons. Products selected were from Bene for the open plan and offices, James Tobias for the storagewall, Interstuhl for seating, Wilkhahn for the scissors shaped moveable table, Orangebox and Boss for break out seating. 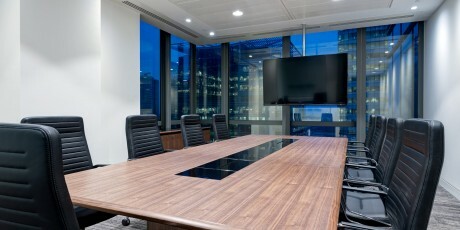 We also designed and manufactured the bespoke workwalls for the Chairman’s and CEO’s office as well as the 24 seater boardroom table in walnut with a black glass runway down the centre with a matching AV credenza and lectern. Installation was completed successfully in February 2016. 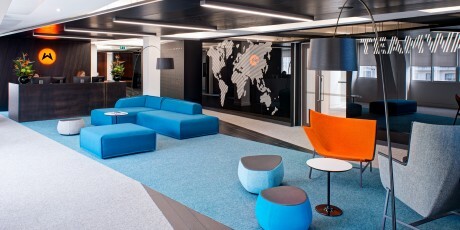 In 2015, the design company Workspace Consultants invited us to work with them on the new offices in New Fetter Lane for the law firm Three Crowns. Following a tender process HK were appointed to design and supply 22 workwalls with magnetic whiteboards and matching open plan desking. 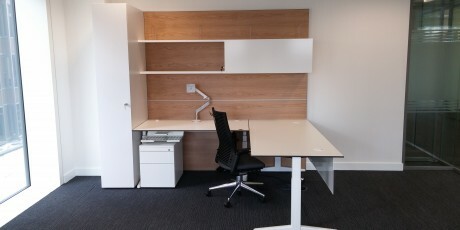 The Associates and open plan desks were in white mfc with our X base which is a fusion of wood and polished steel; the Partners chose brown Oak veneered tops in three different stain finishes. The project finished on time, six weeks from the date of order and no snagging of any sort was required. We have subsequently recently completed the installation of a further 17 workwalls for their Paris office using a polished loop leg and in August 2016 have been appointed for their expansion offices in London. 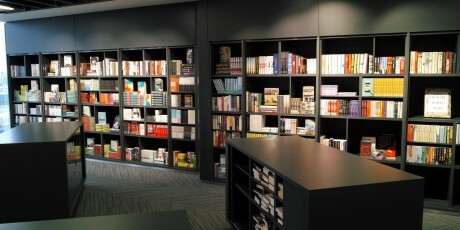 Following this we were asked to work with Pringle Brandon to design and manufacture graphite lacquered bookcase with electronic steel tambours for the Harper Collins bookshop in the same building. 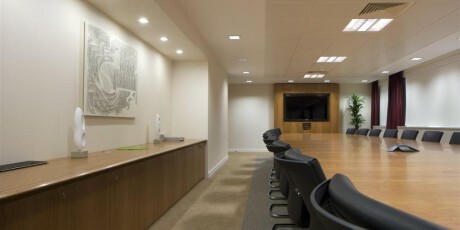 In 2005, HK were appointed to design and supply 81 workwalls for the Partners and Associates offices for the US Law firm’s move to Gresham Street along with 25 open plan workstations and storage. 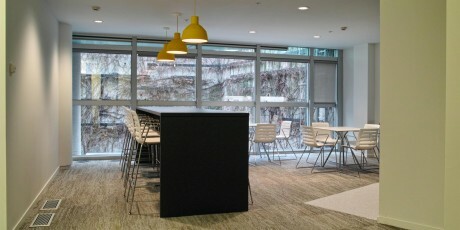 The workstations were manufactured in white and black laminates with European Elm tops. In 2013, when Milbank needed to expand by taking additional space on the 7th floor, they asked us back to recreate the look and quality of the original product for a further 36 workwalls and 8 more secretarial positions. They also asked us to supply floor to ceiling library shelving in elm and black laminate. More recently, needing additional positions again and with some needing a sit stand capability, we converted large existing desks to be electronically height adjustable without compromising on the overall look. In …..2016 we were appointed again, working with Pure Design Group for Milbanks expansion offices in nearby Wood Street. 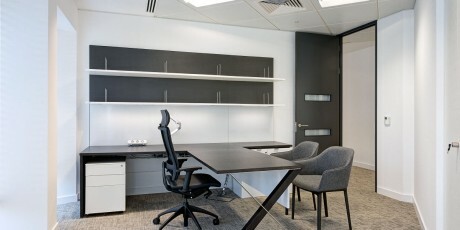 Here we provided similar workwalls but used sit stand one piece L shaped desks in walnut veneer. 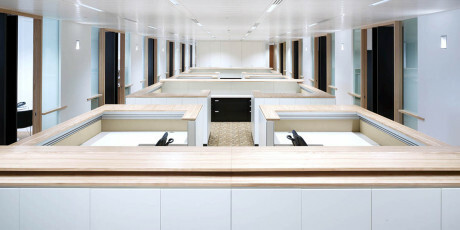 HK were appointed by Tibco Software to design, manufacture and source products for their new flagship office in Paris. 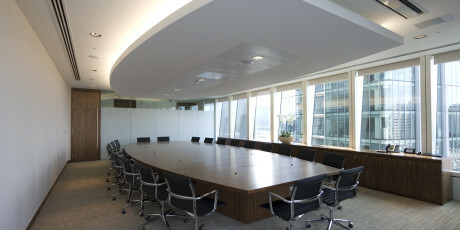 When Sinopec, the Chinese petroleum and chemical giant, moved their London HQ to Shepherds Bush, HK were selected to provide bespoke tables for all the meeting rooms, desks and storage for the executive offices. DTZ were the designers and project managers for the Agricultural Bank of China when they opened new offices in Bartholomew Lane EC2. 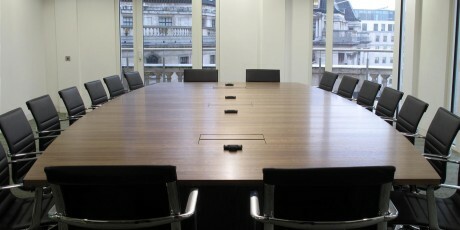 HK’s Quartet range in Black American Walnut was specified for the meeting rooms and the Director’s office.